Learn how to build a JSON API for a social blogging app using Rails. While the criticism is valid, Rails is far from dead. 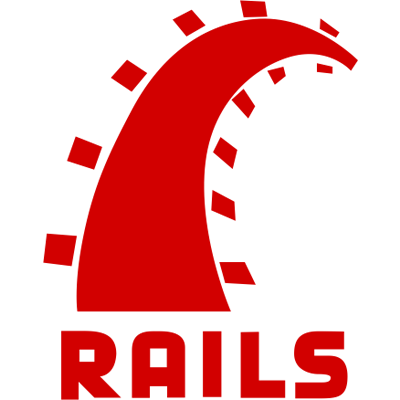 With a little configuration, Rails can easily be fitted for use as a JSON API, letting developers continue to reap the many design decisions made by the Rails community and the agile development speed Rails allows. This course will teach you how to use Rails4 as a JSON API. We will be building a backend that will provide the functionality for a Medium clone called Conduit. Note that this course only goes over how to build the backend in Rails. Once the backend is completed, you can pair it with our AngularJS course to get the entire application running. We've provided a specification for our API that we will be building. We recommended that you go over all the endpoints in the specification and play around with the demo to get a good idea of the application. This course assumes some basic Rails knowledge. We'll be using JWT tokens with Devise for authentication, along with Jbuilder for rendering JSON. We recommend using PostgreSQL as your database, but since we're using ActiveRecord, you have the choice of using SQLite, PostgreSQL, MySQL, or any other ActiveRecord compatible database. The seed repository is a vanilla Rails 4.2.6 app with all of our dependencies that we'll need for our project in the Gemfile. These gems have not been set up or configured in any way, so we'll be going over how to do that throughout the tutorial when we use the gems for the first time. This command will install all the dependencies in our Gemfile that are required for our project. CSRF is usually checked on non-GET requests, and by default if no CSRF token is provided Rails will throw an exception, causing our requests to fail. The :null_session setting will clear out our session variables instead of causing an exception to be thrown. Finally, per the API spec we're adhering to, we want our clients to be able to submit their payloads using lowerCamelCase and our responses should be lowerCamelCase as well. Since we'll be using Jbuilder for rendering JSON responses, we can use an initializer to configure Jbuilder to output all JSON keys in lowerCamelCase. Then, use a before_action filter in application_controller.rb to apply the filter to every request. Changing our parameters to snake_case has a couple advantages, it keeps our code looking clean and Ruby-ish (instead of having to reference lowerCamelCase parameters), and it allows us to pass our parameters to model methods like update_attributes on our models without having to worry about case conversion. This configuration ensures our controllers will respond with the correct MIME type and enables 3rd party controllers in gems (like Devise controllers) to respond using JSON.